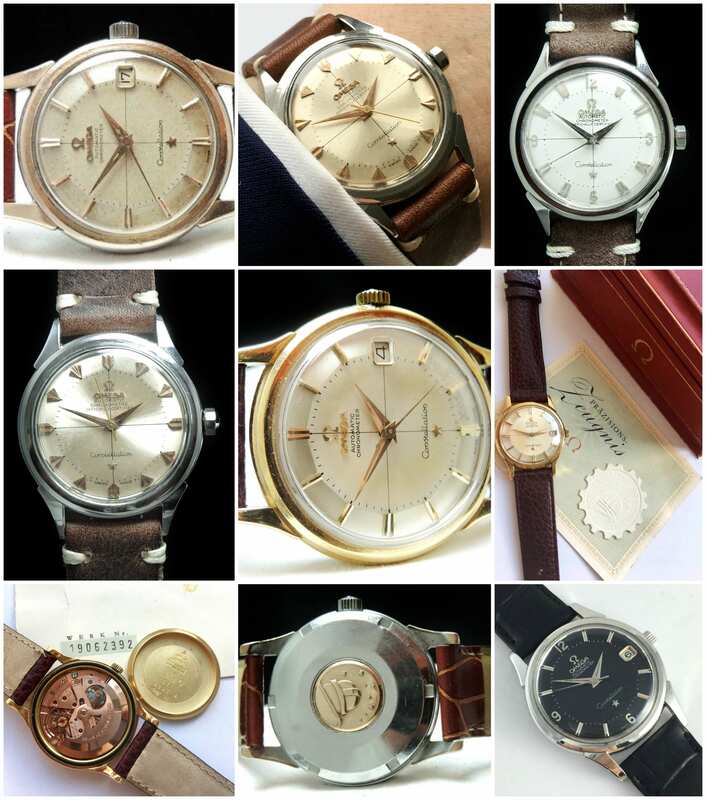 Suppose you had a total of €5.000 that you are willing to invest in watches. You don’t wish to buy just one with a €5.000 price tag, because you want to wear several in rotation, and you want to buy watches with true history, watches that are such icons that the latest models from these iconic lines remain a fixture of the company’s modern collection. What if I told you that you can own three iconic Omega models for under €5.000 in total? Well, assuming you didn’t just scoff and wave me off, I present to you three watches with impeccable pedigrees that give you the best of what Omega has to offer at an unbeatable price! The original Seamaster was a gentleman’s watch, designed to stand up to the rigors of daily life. It was designed for “town, sea and country” and is a far cry from what the line has developed into today, with the Seamaster Aqua Terra 150 M being the closest to the intent of its forebearer. The rest of the modern line encompasses dedicated diver’s watches: Seamaster Professional 300M Diver, Seamaster 300, Seamaster Professional Planet Ocean 600M, and the Seamaster Ploprof 1200M. For a history of the Seamaster, click here. Between the inception of the first Seamaster CK 2518 in 1948 and the pivotal year of 1993, the Seamaster design went through several iterations before they became dedicated dive watches in 1957 with the introduction of the Seamaster 300. But even the Seamaster 300 did not stick with a holistic design language, transitioning from straight to bombé lugs, “thin” bezel to “thick”, and going through multiple configurations of hand sets. It was in 1993 that Omega redesigned the Seamaster Professional and designed the “300m” model we know today. In 2018, Omega released the 25-year anniversary update to the 300m model and the design remains unmistakable to this day, with its iconic wave dial, skeletonized sword hands, scalloped bezel, helium-escape valve at 10 o’clock, and five-link bracelet. This is the longest-running model in the Seamaster family and its place in Omega’s lineup was cemented in no small part thanks to a certain 007, who, in 1995’s GoldenEye wore a blue dial Seamaster 300m Quartz Professional. In Tomorrow Never Dies (1997), The World Is Not Enough (1999), and Die Another Day (2002), the choice was made to feature Pierce Brosnan wearing automatic and chronometer-rated versions of the Seamaster 300m Professional instead of the quartz model. Click here to take a look at a fantastic first-series Bond chronometer-grade Seamaster 300m Professional with full papers and service history. Speedmaster Mark II trade under €2.000, like here, on Vintage Portfolio. For those of slighter wrist who feel the 42mm of the Speedmaster Professional and of the Mark II are a bit too much, the Speedmaster Automatic Date is the perfect compromise. It offers the added functionality of automatic winding and a date complication but does not cut any corners when it comes to preserving the classic design of the Speedmaster Professional in a more manageable 39mm size. Power this little jewel is the Omega cal. 1152, essentially a modified ETA / Valjoux 7750 integrated automatic movement beating at 28.800 vph, with a 46h power reserve and bearing 25 jewels. The Constellation was born in 1952 and was essentially a successor to the Centenary watch of 1948, which was Omega’s first automatic chronometer-grade watch. The Constellation was designed to be a flagship model and a true test of Omega’s engineering and watchmaking prowess. The first of the Constellation models were equipped with “bumper automatic” calibers, after which, in 1955, Omega introduced the legendary 500 series of movements. For an in-depth look at the Constellation, read our article. The Constellation is survived by the Omega Globemaster, which, though only loosely a member of the modern Constellation line, is the true spiritual successor to the Constellation models of the 20th century. Depending on case metal, case shape (round vs C-Case), dial type (pie-pan vs domed), and condition, you can find models for as little as €1.400 ranging to above €5.000 for the 18k gold Constellation Deluxe and Constellation Grande Luxe models. There you have it: three Omegas that you can have for under €5.000 total, each with its own rich and impressive history. You can’t go wrong with this perfect three-watch collection that is equally balanced for dress and casual wear! ← Newer3 Vintage Chronographs Under €2.000!